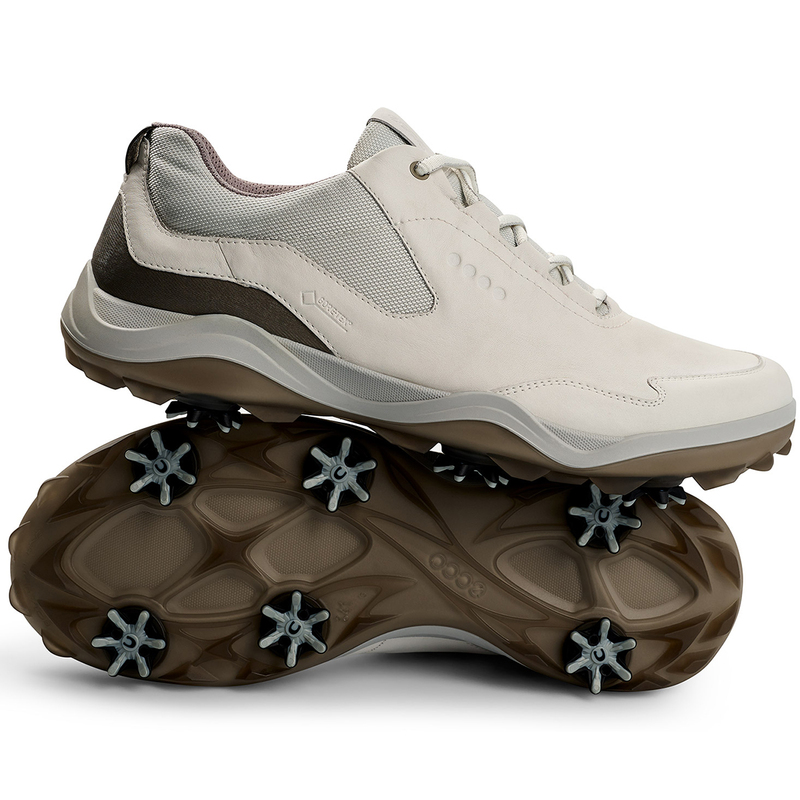 These lightweight ECCO Golf Shoes push the boundaries of comfort and performance. 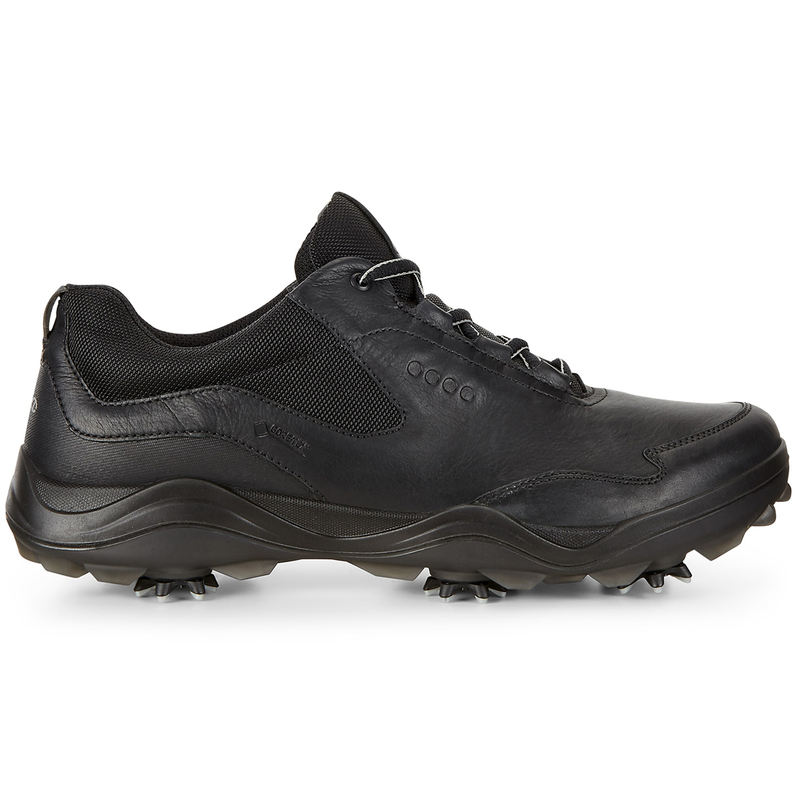 This sleak golf shoe has been designed for enhanced breathability thanks to the GORE-TEX technology which helps to keep your feet dry and comfortable, with it's unique waterproof advancements. 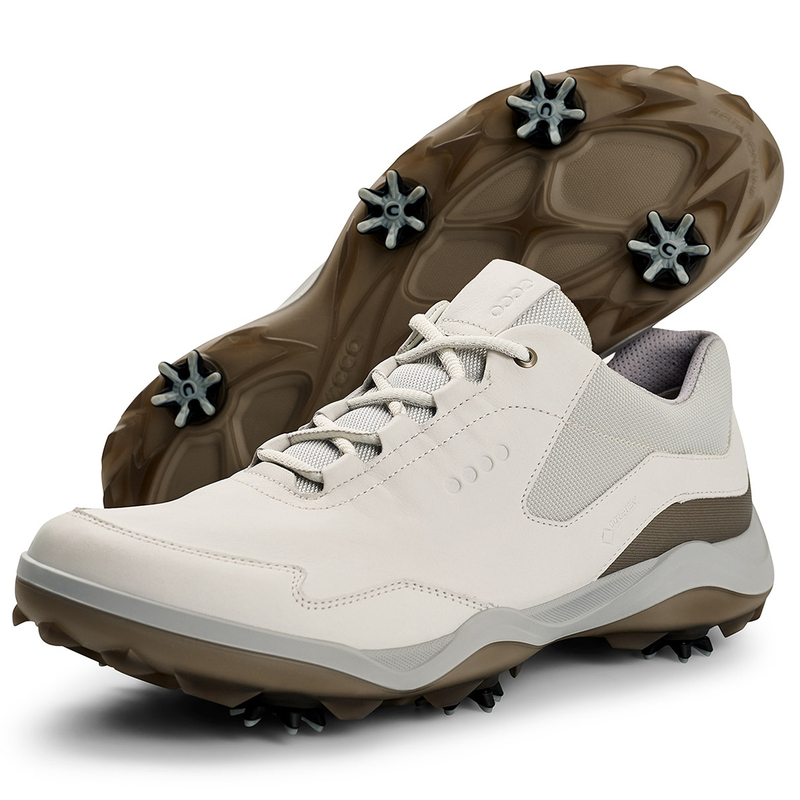 You will be able to play your round of golf knowing that these fantasically designed shoes will help to keep you protected against the elements. 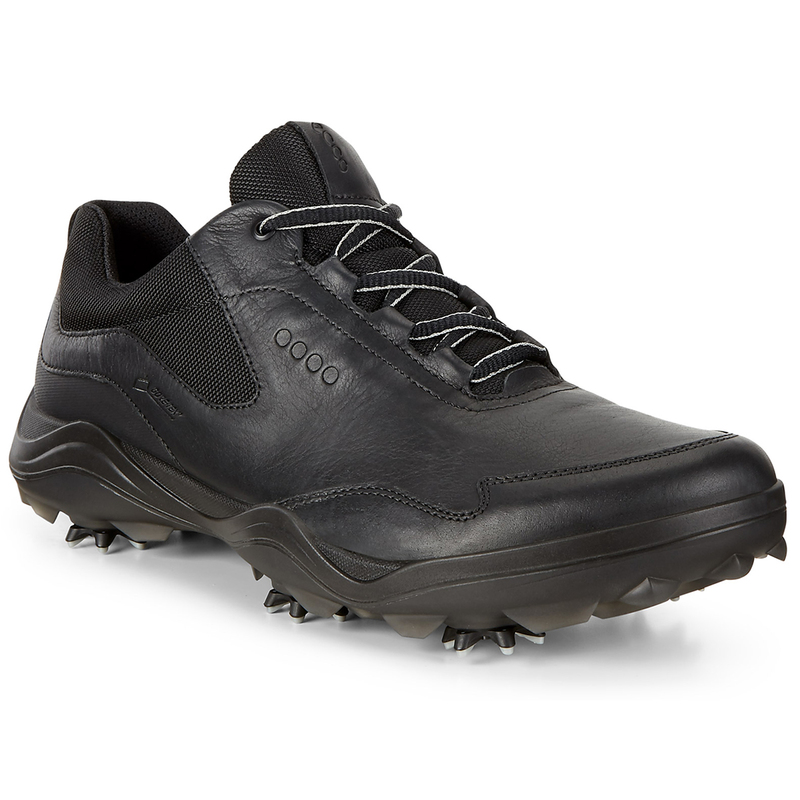 The ECCO Yak leather material allows for increased durability, thanks to it's extremely strong and lightweight design. 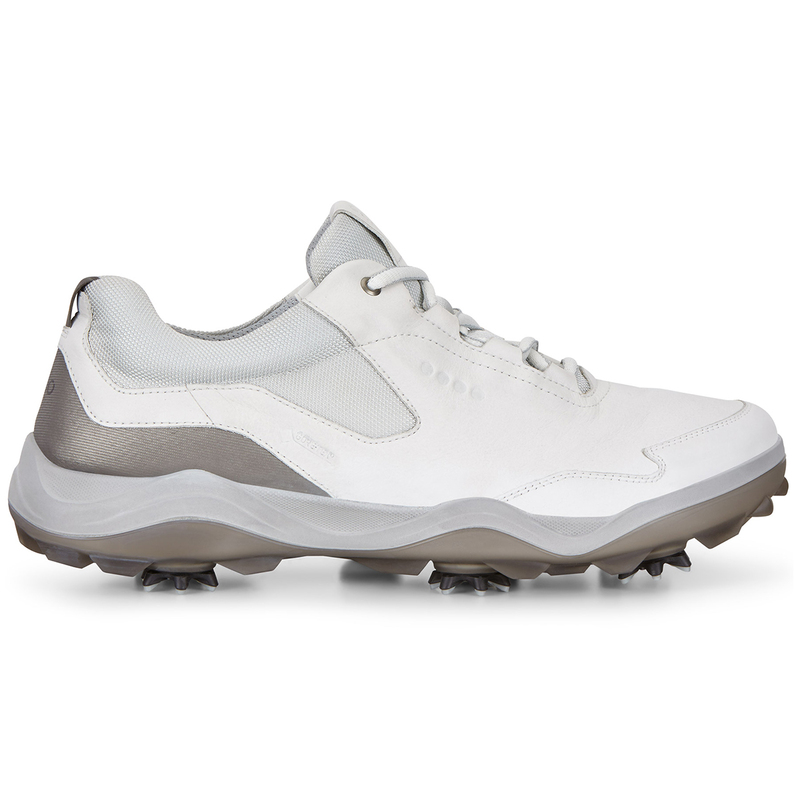 These shoes have been designed with longevity in mind so you can rest assured knowing that these impressive golf shoes will give you hours upon hours of game time without the risk of becoming damged. 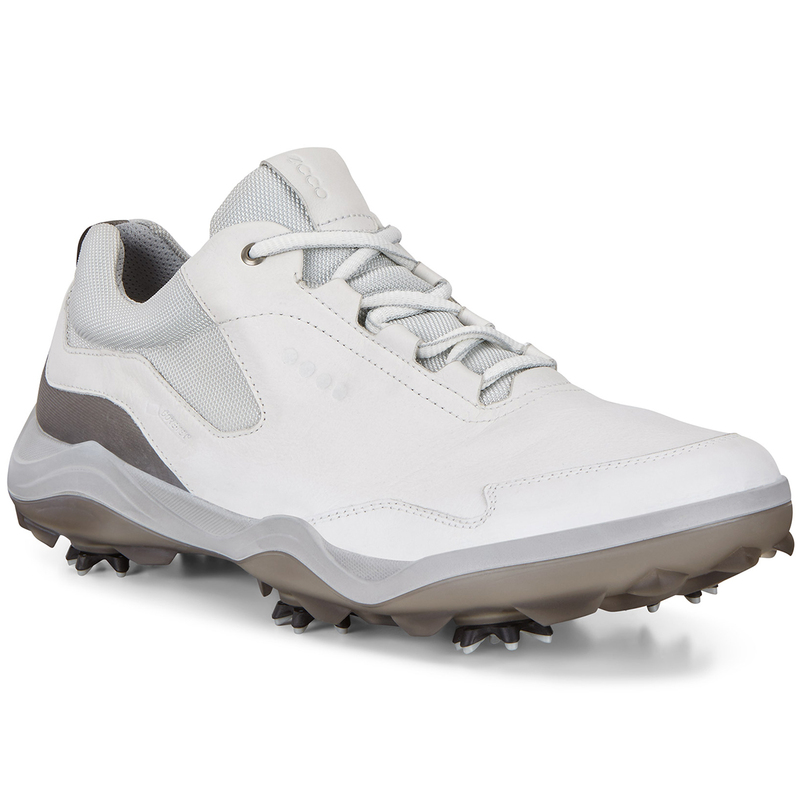 The SLIM-Lok Zarma-Tour spikes help to provide you with a sense of stability and security. The six unique anti-clocking comfort legs provide support for all types of weather. These superbly designed spikes allow you to stay out on the golf course whatever the weather, giving you reasurrance that you will be safe from slips and falls.